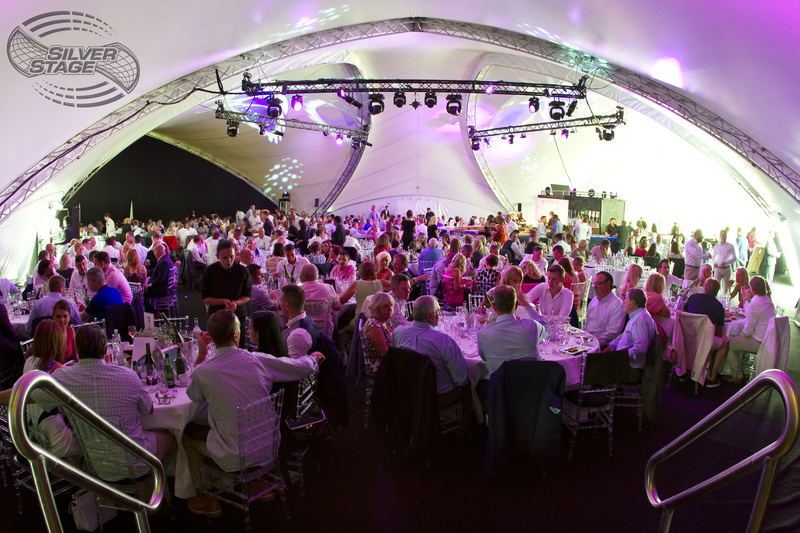 Saddlespan – The most versatile clearspan marquee. At Silver Stage, we are proud of what we do. 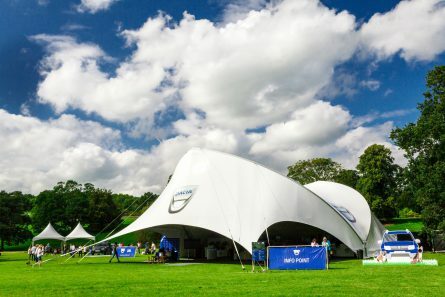 Not only do our structure solutions tick all the necessary boxes when it comes to safety and functionality, but they also come with the added extras that only SaddleSpan can provide: great aesthetics, aerodynamic acoustic form, and easily brand-able. 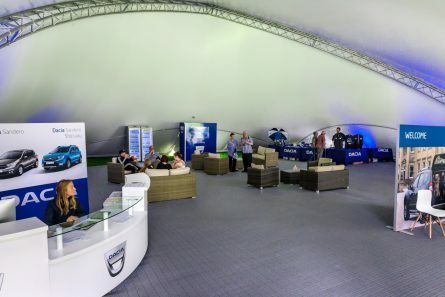 All this is achieved without any interruption of space, making our structures the most versatile clearspan marquees on the market. 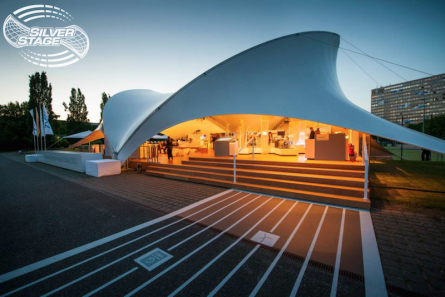 Unlike traditional clearspan structures, the SaddleSpan’s modular architecture allows for beautiful and sleek variations of the standard shape. 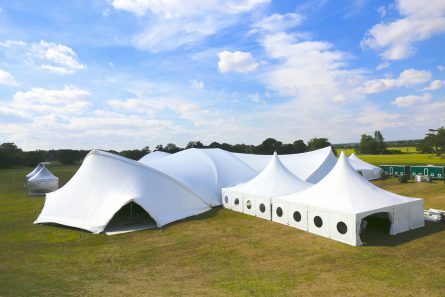 This coupled with three base size options and multiple end walls enable us to provide you with an on-budget event solution, regardless of size, location, and ground type. As all of our configurations are fully close-able they are usable all year round. 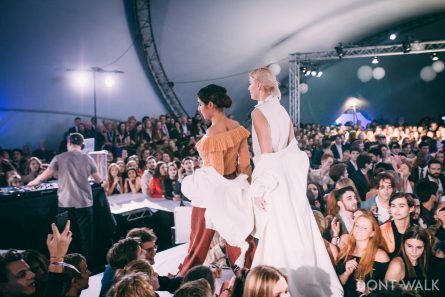 We have had the honour of providing the structure for this prestigious fashion event for several years where famously, Royal couple the Duke and Duchess of Cambridge first set eyes on each other. No matter what the weather Silver Stage keep models and guests alike sheltered from the elements in style, even in the harsh St Andrews’ Scottish east coast weather. In 2018 we had the Beast from the East to contend with as you can see in this time-lapse video captured by one of our crew. 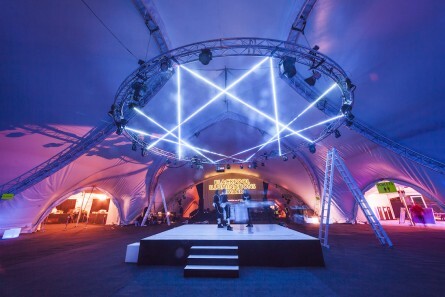 Need a structure to look like a space station for a mid-winter party? No problem! Check out this stunning set-up that includes seamlessly linked reception space, rest rooms and cloak room, enabling efficient space heating along with aesthetic beauty. Here is a guide to some of the end wall options that we have available. Our Portico end wall gives a vertical face to allow regular shaped structures to seamlessly meet the saddlespan, offering green room, back stage, and reception areas to be added to the main space. 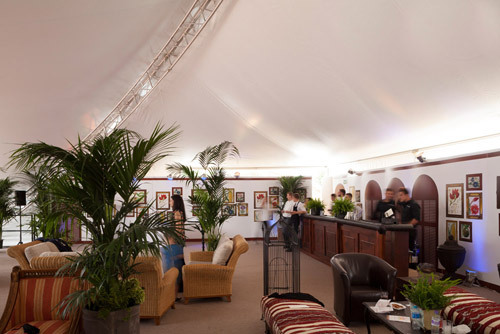 Alternatively the portico provides covered space with excellent external sight-lines for guests to view activities from the comfort of their table. 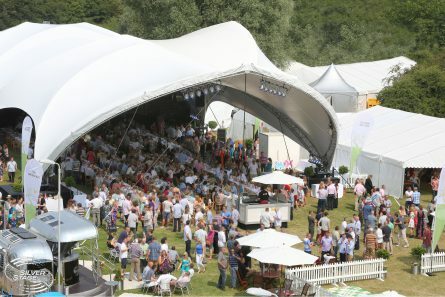 A great example of this is the Trispan with Portico that Silver Stage provided for the Dukes Polo event. As mentioned above, the perfect addition to the main event space, seamlessly linking with our custom joiner fabrics, unique to Silver Stage.